Cola! An American icon...but, cascara? What the heck is that? Cascara is the cherry on the outside of the coffee bean. When a tea is made from the dried husk it produces a lightly caffeinated beverage that has tobacco and raisin notes. We use this tea as a base for our heavily spiced, extra curious cola syrup. We flavor this cola with kola nut and all of the traditional cola spices, but we add a bit of black lime powder, lavender and gentian root to give it something more. We crafted this one specifically with bartenders in mind. 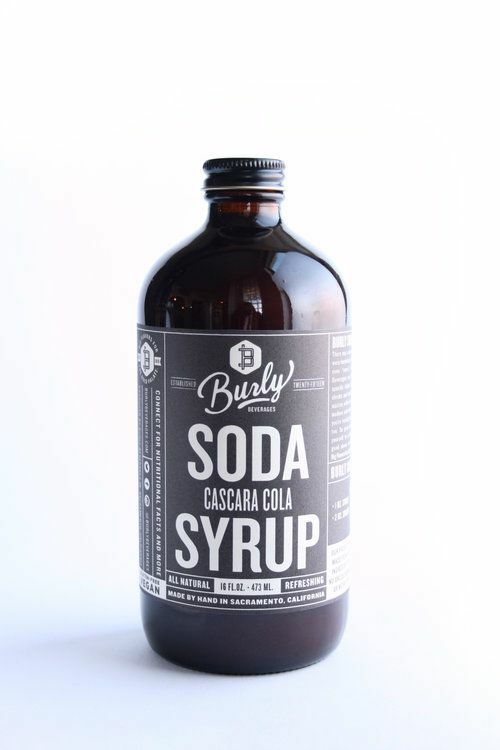 For those times you want cola for your cocktail but didn't want to use the same ol', same ol'...here's your new boo!